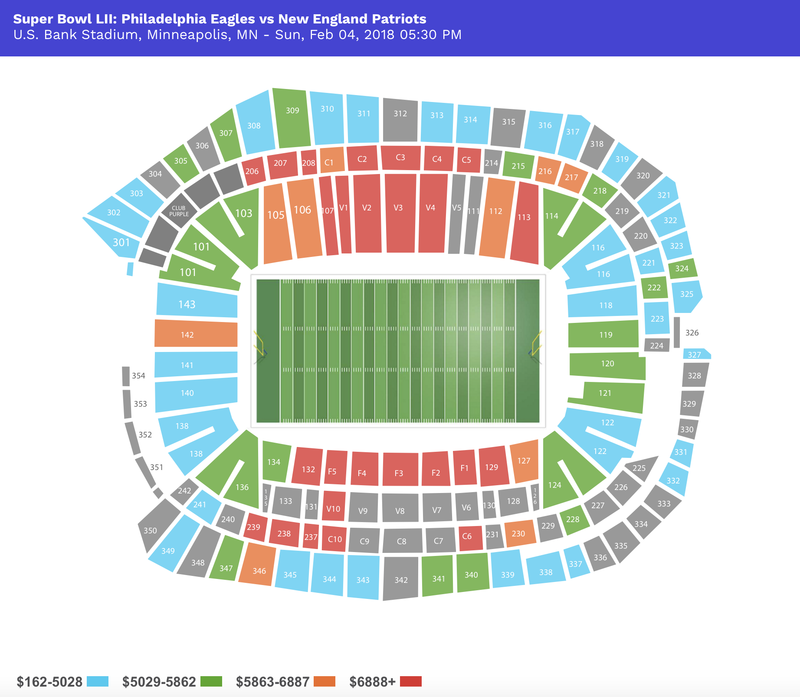 The NFL season is approaching its halfway point, and fans may be wondering how ticket prices look across the market. Fortunately this week, there’s an NFL game for every budget. We've put together a breakdown for this week, October 22-26, sorted by time slot (EST) and price. We’ve also included hotel tips for devoted fans looking to travel for their teams! The 49ers and the Seahawks will head into Thursday’s game with 2-4 records and a fierce rivalry between Seattle’s Russell Wilson and San Francisco’s Colin Kaepernick. The Seahawks will face a steadily improving 49ers offense as they fight to stay out of the bottom of the NFC West rankings. Tickets start at $72.00 and are averaging at $252.81. For Seahawks fans traveling for the game, the Hyatt Regency Santa Clara is just a ten minute walk from Levi’s Stadium. Tickets start at only $57.50 for the Jaguars-Bills game this Sunday, but that doesn’t include international plane fare. The game will take place at Wembley Stadium in London as part of the NFL International Series. The Jaguars are toward the bottom of the league in most categories league, but it’s their third time playing in Wembley, and only the first for the Bills. Sunday’s matchup between the Rams and the Browns at the Edward Jones Dome offers the cheapest tickets of the weekend. The Browns’ defense is last in the NFL in stopping the run, and on Sunday they’ll have to face the Rams’ rookie running back Todd Gurley, who has rushed for 314 yards in three games since returning from ligament surgery. Tickets for a Gurley tour de force start at $19.93 and average out at $113.81. This week, Buccaneers’ rookie quarterback Jameis Winston will face a Redskins team crippled by injuries. The Redskins could be down by as many as six starting players, which may give the struggling Buccaneers an advantage. See the action for only $21.96 ($142.61 average) at Fedex Field. The Lions got their first win of the season last Sunday against the Bears, but momentum alone won’t be enough to upset the Vikings’ defense. Vikings’ star running back Adrian Peterson only ran for 60 yards last week against the Chiefs, so there may be hope for the Lions if he has another off week. Tickets for the game at Ford Field in Detroit start at $27.68 and average at $130.49. The home field is usually an advantage, but the Titans have lost their last three games at Nissan Stadium. They also may not play rookie quarterback Marcus Mariota, who sprained his left MCL last week. The Falcons will pounce on the Titans’ perceived weaknesses. See how it plays out in Nashville for $54.00, or an average ticket price of $193.21. Atlanta fans can enjoy Nashville’s nightlife by staying at the Renaissance Nashville Hotel in the center of town. The Chiefs were already struggling when running back Jamaal Charles tore his ACL earlier this month. He’s now out for the season, and it’s unclear whether the offense will be able to rally without him. The Steelers have a stronger record and are coming off two wins, but with Ben Roethlisberger still out of the game, it’s unclear which backup — Michael Vick or Landry Jones — will get the most snaps. Kansas City plays at home at Arrowhead Stadium, where tickets will start at $98.00 and average at $250.93. Last week, Colts quarterback Andrew Luck returned after three weeks out with a shoulder injury. The Colts lost, in part thanks to an inexplicable trick play, but Luck has shaken off the rust and has Colts fans optimistic. The Saints have been inconsistent so far this season, so expect an unpredictable and exciting matchup at Lucas Oil Stadium. Tickets start at $54.00 and average at $160.16. The Dolphins broke their three game losing streak last week under interim head coach Dan Campbell, which may provide them with enough momentum to overcome the inconsistent Texans. They’ll face Brian Hoyer, who won his first game as starting quarterback last week with the Texans. Tickets for the matchup in Sun Life Stadium start at $55.36 and average at $180.32. Texans fans can make a weekend of the trip and take advantage of the Miami sun at The Betsy on South Beach. With Tom Brady at the helm, the Patriots have a perfect record and have been running up the score in every match. This week they take on the Jets and their powerhouse running back Chris Ivory. Rushing for 460 yards so far this season, Ivory is a formidable opponent for the Patriots defense. Seeing the game at Gillette Stadium will cost you, as tickets start at $330.00 and average $870.00. Sunday’s game between the Chargers and the Raiders promises to be an exciting matchup. Both have fought and lost against great teams this season. The Raiders lost to the Broncos and the Bengals, teams with perfect records. And last week, the Chargers lost to the Green Bay Packers despite a team-record 503 passing yards thrown by quarterback Philip Rivers. Both teams will bring fire to Qualcomm Stadium this weekend. Watch what happens live with tickets starting at $122.40, and at an average price of $264.88. The Giants play at home this week at MetLife Stadium. They had a rough game against the Eagles last week, losing 27-7. The Cowboys, on the other hand, have lost wide receiver Dez Bryant and star quarterback Tony Romo to injuries. This should be an interesting matchup, with tickets starting at $239.00, and an average price of $614.67. The Panthers will come into Sunday’s game with a perfect record and a strong quarterback in Cam Newton, but they may be challenged by the Eagles. Philadelphia has been recovering well from a weak start to the season and came out ahead against the divisional rival Giants last week. The action will play out at Bank of America Stadium, where tickets start at $125.00 and average at $315.36. The Hilton Charlotte Center City is an easy 15 minute walk to Bank of America Stadium and a great place for Eagles fans to stay while they’re in town. The Ravens are off to one of the worst starts in franchise history, but that may not be a fair a indication of the strength of the team: Every game has been decided by fewer than six points. This week they take on the Cardinals, who are faltering after their strong start to the season. Catch the action live at the University of Phoenix Stadium for as little as $48.72, or at an average price of $157.63.